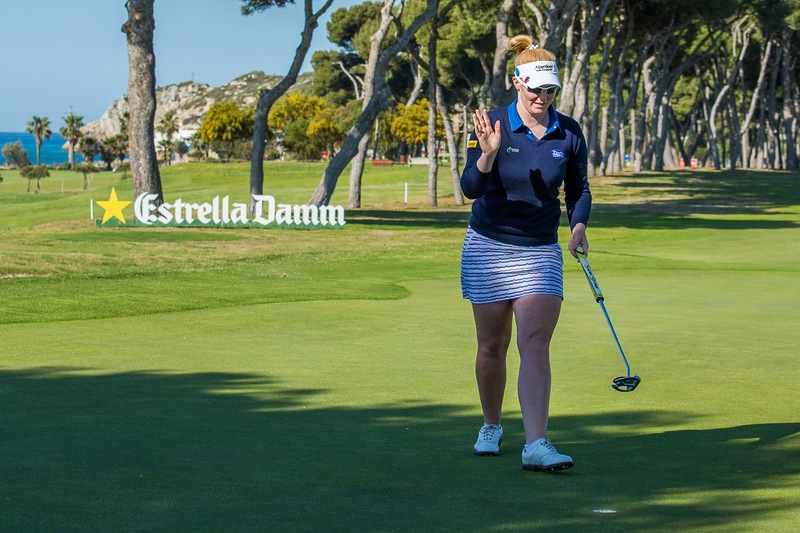 Sitges, Spain – April 21, 2017: Home hope Nuria Iturrios fired a second round of six-under-par 65 in fine conditions at Club de Golf Terramar on Friday to take a one stroke lead at the inaugural Estrella Damm Mediterranean Ladies Open. At eight-under-par, the second-year professional from Mallorca holds a narrow lead over French Solheim Cup star Karine Icher and Pamela Pretswell of Scotland, while the first-round leader Anna Nordqvist of Sweden is tied for fourth with Azahara Muñoz, the home winner of last year’s Spanish Open. Although Nordqvist and Muñoz were not at their best, they are well positioned for the weekend, just two strokes from the lead. Muñoz admitted that she could have done better than a 67. “I definitely did not have my best ball-striking day, but I kept myself in it, especially after starting with a couple of bogeys at the start of the round. I was not nervous, but I wasn’t feeling comfortable,” she said. In a tie for sixth on five-under are English trio Melissa Reid, Florentyna Parker and Holly Clyburn, Swedish rookie Jenny Haglund and Stacey Peters of Australia, while Carlota Ciganda is five from the lead at three-under. On an afternoon of perfect scoring conditions, Sweden’s Emma Nilsson equalled the course record. 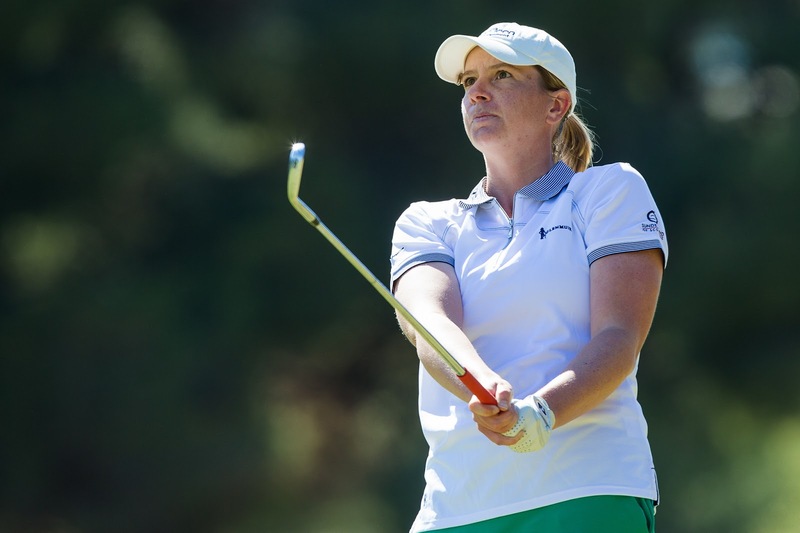 Her eight-under-par 63 was 17 shots better than her opening round of 80 and lifted her into a share of 49th position.